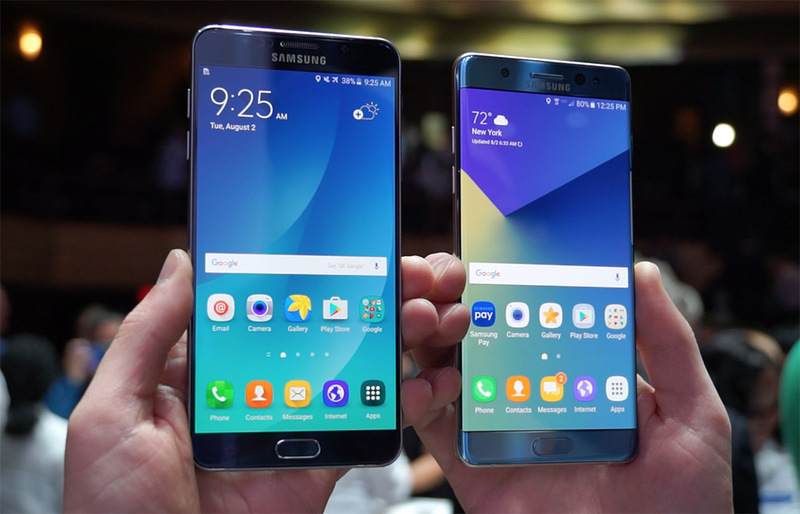 After we took a tour of the new Samsung Galaxy Note 7, we then pulled out a Galaxy Note 5 just to see how much these phones differ. Spoiler: they don’t differ by much! Well, in some areas they do, if you consider the fact that the Note 7 has IP68 dust and water resistance, an iris scanner, and a curved display. Outside of that, you are certainly getting the classic Note experience here, with improved S Pen and software. And look, I’m not discounting the IP68 level of protection, because that’s something all phones should have at this point. But when we’re talking about an iris scanner and a curved display being notable new items, you run into features that I’m not sure a lot of people need. Either way, this is the quickest of comparisons, just so Note 5 owners trying to decide whether or not to upgrade (and maybe pre-order tomorrow) can start forming some opinions.